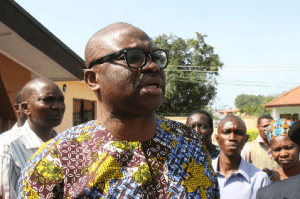 Ekiti State Governor, Mr Ayodele Fayose, has urged Nigerians to accept the outcome of the Saturday presidential election in good faith, saying “the election result is the will of God and Nigerians, and all lovers of peace, progress and development of Nigeria must accept it”. Governor Fayose, in a statement issued by his Special Assistant on Public Communications and New Media, Lere Olayinka, hailed the resilience and commitment of President Goodluck Jonathan and General Mohammadu Buhari (rtd). Governor Fayose said; “I salute Nigerians, especially the great people of Ekiti State. The post Fayose Urges Nigerians To Accept Presidential Election Results appeared first on Channels Television. 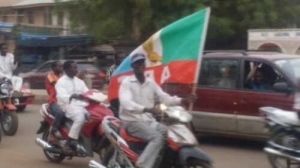 From Damaturu the Yobe State capital comes a report that before the official announcement of the winner in Nigeria’s presidential election, APC supporters across major towns of the state trooped to major streets in celebration of the expected victory. 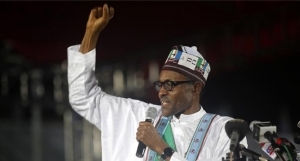 The party supporters deferred any security threat in the troubled north-east state bedevilled by the Boko Haram insurgents to rejoice over the victory of the APC presidential candidate, Gen. Muhammadu Buhari. It was a celebration galore as jubilant youth besieged the Damaturu central round about and other major streets chanting party slogans saying their votes were not tampered with, having given General Buhari all the necessary support. Channels Television correspondent reports that the celebration went on in other major towns of the state particularly Potiskum, Gashua, Nguru, Geidam among others. Their joy also comes from the expectation that Yobe would begin to enjoy the central government having being in the opposition since the second republic. The post Yobe Residents Celebrate Buhari appeared first on Channels Television. The Edo State Government has declared Wednesday, April 1, 2015, a work-free day in the state to celebrate the “victory” of General Muhammadu Buhari, the candidate of the All Progressives Congress (APC), in the 2015 Presidential election. The declaration by the Edo State Government was made ahead of the official declaration of the winner by the Independent National Electoral Commission (INEC). The result of the presidential election from Borno State was still being expected, although General Buhari had taken a clear lead at the time. Meanwhile, the Edo State Governor, Adams Oshiomhole, has invited the people of the state to a victory party which would hold on Wednesday, at the Oba Ovoranmwen Square, Benin, the state capital. Top artistes, including Davido, Patoranking, Osayomore Joseph, Young Bolivia, among others, would perform at the party to celebrate General Buhari’s victory. The post Edo Declares April 1 Public Holiday To Celebrate Buhari appeared first on Channels Television. Iraqi security forces and Shi’ite paramilitary battle to retake Tikrit from Islamic State, as the U.S. and its allies stage more air strikes against the Sunni jihadists elsewhere. Vanessa Johnston reports. The presidential candidate of the All Progressives Congress in the 2015 election, Maj. Gen. Muhammadu Buhari (rtd. ), has expressed gratitude to Nigerians for voting him and his party to steer the ship of state for the next four years. Buhari said this in an interim message of thanks and gratitude to Nigerians in Abuja on Tuesday. This was contained in a statement by the Director of Media and Publicity of the APC Presidential Campaign Organisation, Malam Garba Shehu. The APC statement said it “declared victory after Dr. Jonathan called General Buhari at 5.15pm to make a concession and congratulate the winner. Shehu quoted Buhari as saying the mood of the country as well as its current state, did not warrant the type of wild celebrations reportedly going on in some cities across the country. “Buhari said anybody happy with the victory of the APC in the presidential election will not be involved in the molestation of opponents or the destruction of their property. “He or she is not with me, whoever does that,” Buhari curtly said. He is expected to make a major acceptance speech as soon as the Chairman of the Independent National Electoral Commission declares the final results in which Buhari is expected to be declared winner. The post Buhari Thanks Nigerians, Calls For Sober Reflection appeared first on Channels Television.